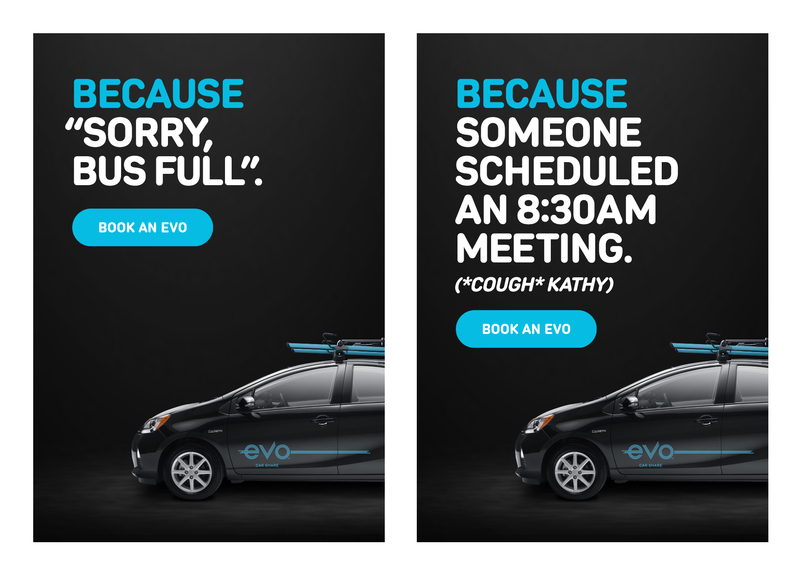 For Evo’s new outdoor and digital campaign, we developed a brand platform that explored the many ways Evo enhances Vancouver’s commute. From grocery runs to overpriced event parking to rainy days, there are thousands of reasons to book an Evo. 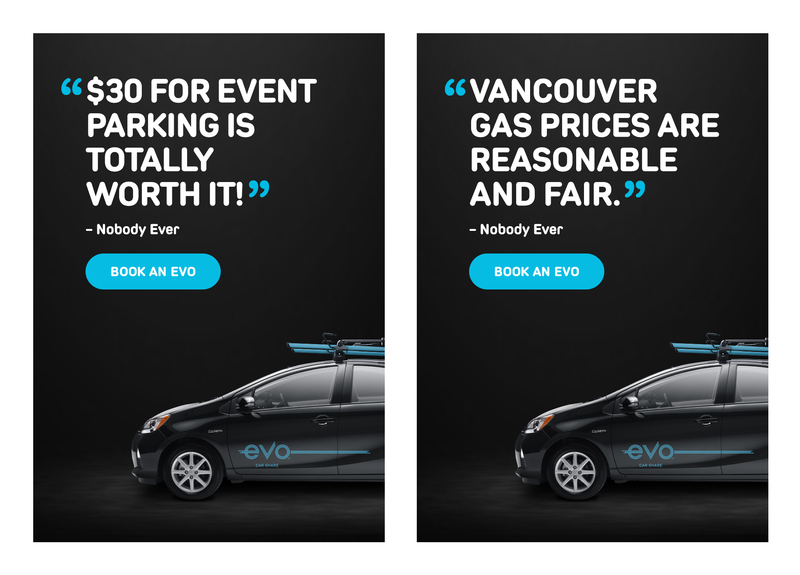 We launched the campaign with a series of Vancouver-specific videos on social: poking fun at the ridiculous and painfully relatable ways Vancouverites commute and why they’d be better off booking an Evo. To complement these videos, we created a series of outdoor ads placed in transit hubs and on billboards across Vancouver. We translated the campaign to social by creating a new set of headlines and animating them to drive engagement.